The Performance Line instruments are all made according to Wilh. Steinberg constructions and technologies by its authorised partner company in Asia. Important parts, such as premium hammerheads or soundboards, come from Europe and Alaska. All other parts, such as action, keyboard and iron frame are made by Wilh. Steinberg’s Asian partner company itself. After arrival in Germany, all instruments are completely checked and finalised by highly skilled piano technicians in Eisenberg, Germany. The unique and individual tone of every instrument is carved out by the craftsmen in Eisenberg. The idea of a remarkable but reasonably priced musical instrument came true. The P121 offers a lot of tonal varieties to the pianist. Moreover, this instrument is equipped as standard with polished chrome metal fittings. 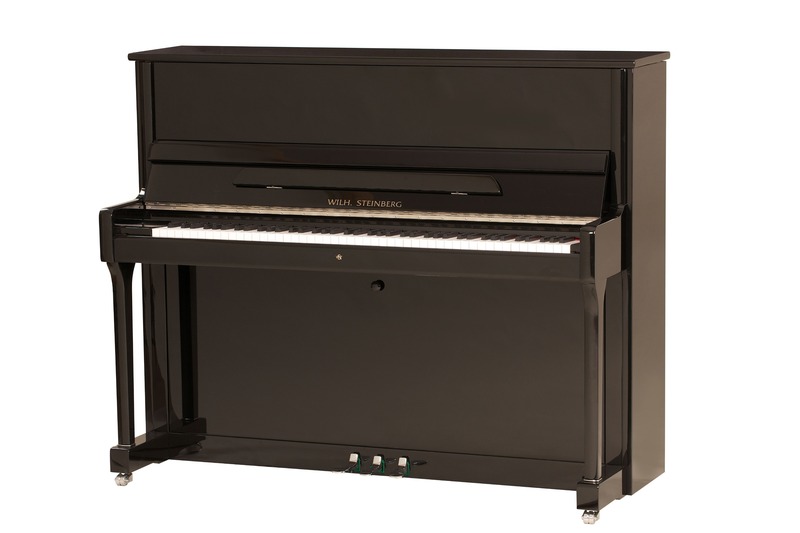 The construction height of 121 cm is a popular size for upright pianos as it is well proportioned and allows enough length of the strings for an impressive sound in all levels. More models of the P-Line are P118 and P125E.